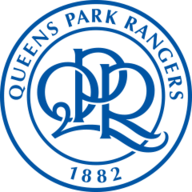 Idrissa Sylla headed a late winner as QPR snatched a 2-1 west London derby win at Craven Cottage over a Fulham side that missed two penalties. Fulham's Tom Cairney had the ball on the spot within six minutes after Ragnar Sigurdsson was hauled down by Steven Caulker but a full-stretch dive from Alex Smithies kept the first attempt out. Conor Washington instead put the Rs in front with a deflected shot after 20 minutes, but Tim Ream levelled proceedings just after the break (87) before Sylla headed in three minutes from time. The Whites were given a lifeline when Nedum Onuoha fouled Jozabed as he bore down on goal but Sone Aluko saw his shot cannon off the base of the post just prior to the final whistle. The result ensures Rs boss Jimmy Floyd Hasselbaink, who has been caught up in the Daily Telegraph's football sting, ended a difficult week on a positive note, the visitors triumphing at Craven Cottage for the first time since 1980. Hasselbaink, who had denied any wrongdoing but admitted he had been "naive" after being filmed by undercover reporters, took his place in the dugout as normal but might have feared the worst when Caulker fouled Sigurdsson as Lucas Piazon swung in a fifth-minute corner. But Cairney's spurned spot-kick gave Hasselbaink's men a visible lift and they took the lead when Pawel Wszolek teed up Washington, his shot appearing to take a deflection off strike partner Sebastian Polter as it looped past David Button. Within two minutes Fulham somehow squandered a chance to level up through a horror miss from on-loan striker Chris Martin. Scott Parker freed Piazon, who laid the ball on a plate to Martin, but the Scottish striker - without a league goal in 19 games - got the ball tangled up in his feet and drove wide with an empty net in front of him..
QPR's goal was living a charmed life but that changed within two minutes of the restart thanks to Ream. Smithies could only palm Parker's floated shot into the path of the American defender who made no mistake, despite the best interests of Massimo Luongo on the line. Fulham were now in control and Ryan Tunnicliffe's driven shot beat Smithies but went the wrong side of the post. Parker was then denied by Caulker's fine goal-line clearance to deny the veteran midfielder. 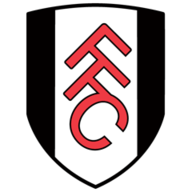 Aluko wasted a glorious chance when he scuffed his shot wide and Fulham substitute Neeskens Kebano had the goal at his mercy but nodded wide from Scott Malone's 74th-minute cross. Sylla was not so charitable at the other end, diverting home Chery's cross. Fulham were thrown a lifeline when Onuoha was penalised for a high boot on Jozabed in added time, only for Aluko's spot-kick to bounce back off the post. "It's very frustrating, we couldn't be clinical in the opposite box, we weren't solid in our box. It was a strange game. At the end of the game only the result is important. I accept my responsibility as we didn't win any points. "Generally it is a little bit confusing and strange for us. We have to stick together, stay solid in defence and in the end offer more quality, more personality, and find the end product." "It's been a very difficult few days, I must say. My lawyers are waiting for the transcripts to help with the investigation of the club. We want a result as quickly as possible. "But I must say that the support that I've had from the club, from family, from friends, from people around me has been immense. I have to thank them for that. "Also the players, and the support of them. In the last couple of days we have been able to concentrate on the game and that has been a good outlet."